Melbourne is famous for many things, and Christmas festivities is certainly one of them. This December, the city is upping the anti with a collection of cultural, dining and festive experiences that need to be added to your December bucket list. With a wide spread of activity there is something on almost each day, so linger a little longer in Melbourne and enjoy it all with central serviced apartment accommodation. 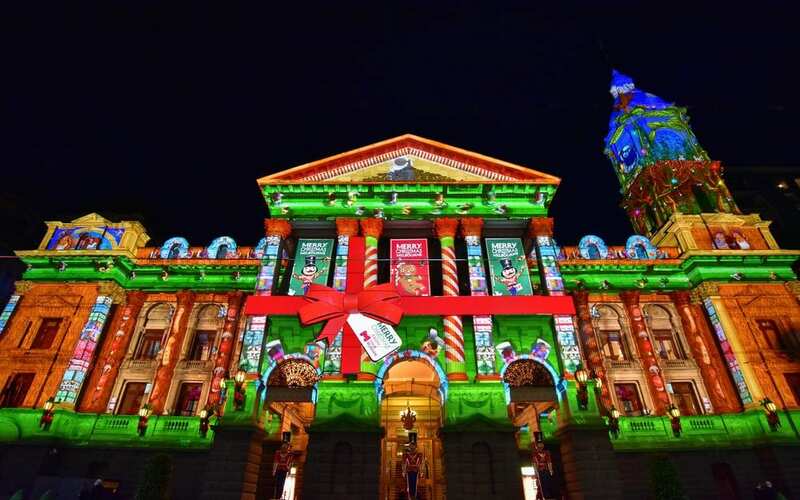 Find out what you can expect this Christmas in Melbourne by reading on. The hugely popular magazine and podcast Dumbo Feather is putting on a Christmas Fete in St Kilda that promises to be quintessentially Melbourne. Showcasing a range of books, jewellery and homewares you will find that perfectly unique Christmas gift for your friends and family. Bringing the little ones? No worries, there is a flower-crown workshop to entertain the kids. Australian-made gin is the flavour of the season, and the Christmas Gin Market in Collingwood promises to have all the gin-gle bells and whistles. Get to know all the gin distillers in Melbourne and beyond and sample their seasonal mixes. Be the best secret santa ever and find a limited edition gin for your loved ones. If you loving watching the latest or greatest films outdoors then you are spoiled for choice in Melbourne this Christmas. Take in a film at the Moonlight Cinemas surrounded in the middle of the beautiful Royal Botanic Gardens. Or perhaps enjoy the view from the top, and enjoy the next blockbuster at Lido on the Roof at Lido Cinemas in Hawthorn. No one does a night market quite like the city of Melbourne. And with the sun staying out even longer in Summer, attendees are treated to more market fun. The renowned Night Market at Queen Vic Market boasts 60 food stalls and more than 130 art, fashion and homeware stalls. If you’re looking to explore more of Melbourne, you can visit the Coburg Night Markets where you will find live music, art, homewares and flavours from the local neighbourhood. Hot off the heels of the successful winter whiskey bar, the Brunswick bar Howler will be mixing every variation of Tequila at their highly anticipated pop-up bar. Enjoy a few tacos and wash it down with some jalapeno-infused tequila. This fiesta will kick off day one of Summer and run through until February. If you are looking for something a little more in step with the family, children and adults alike will be transported by the Sunset Safari at Werribee Open Range Zoo. As it implies, the enclosure is completely interactive so you can wander the zoo by moonlight and observe the zoo animals in their natural habitat. There is a reason Melbourne was named World’s Most Liveable City for seven years in a row. The cultural blend of cuisine and experiences that Melbourne has to offer is heightened every festive season. Taste and try it all on your December Melbourne getaway. RNR Melbourne is dedicated to providing you with the best possible accommodation experience with a range of luxurious serviced apartments near Melbourne CBD. To book your stay, contact us today!